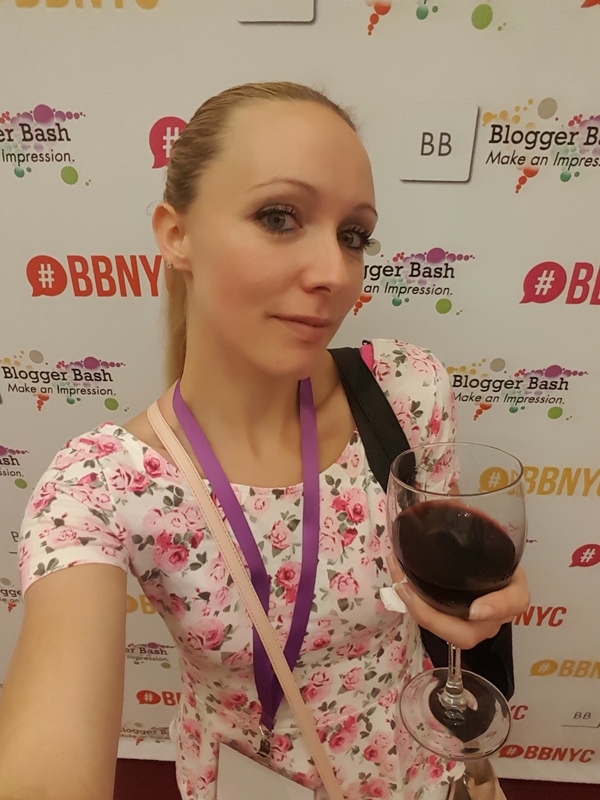 As a ‘newbie’ blogger, I was nervous to have purchased my first ever ticket to Blogger Bash. 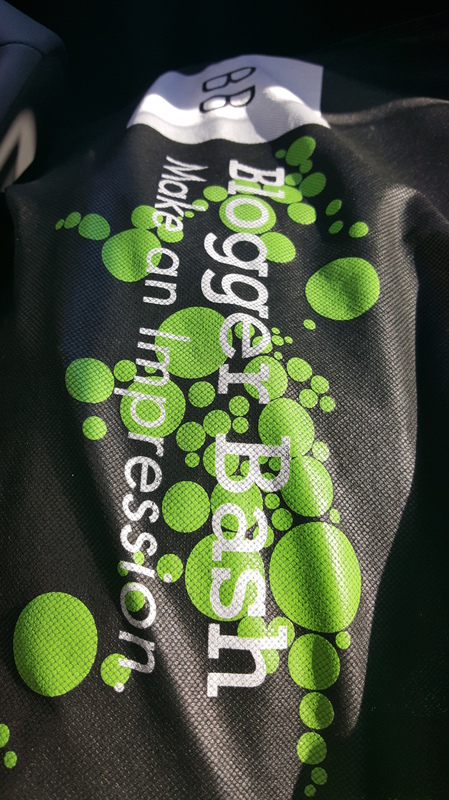 I quickly googled Blogger Bash 2014 to see what I was in for, but nothing could’ve prepare me for these 2 days this past weekend. I knew I wouldn’t be able to get off of work for 2 full days, and had to pick an choose what I MUST attend. 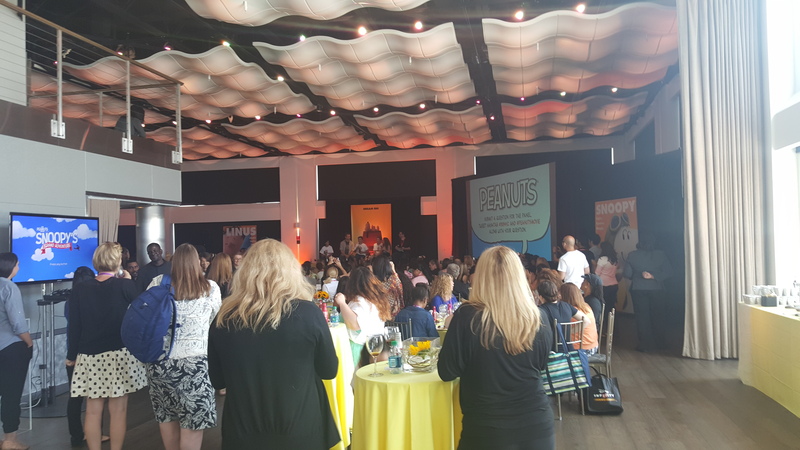 Unfortunately, I missed the first half of the first day including the Care Bear Brunch and the Blue Man Group show, but I was able to follow along with some of my fellow bloggers on social media, and I am so happy I got to see what was going on over at BB while I was at work. Full of emotions, dragging my sister and mother on the ferry with me after work so I can make the Toy Insider Sweet Suite night of play, terrified I wouldn’t make it before the end, and even more terrifying, going into those doors ALONE! But guess what? I LOVED every moment of it once inside those doors. I felt so at home! 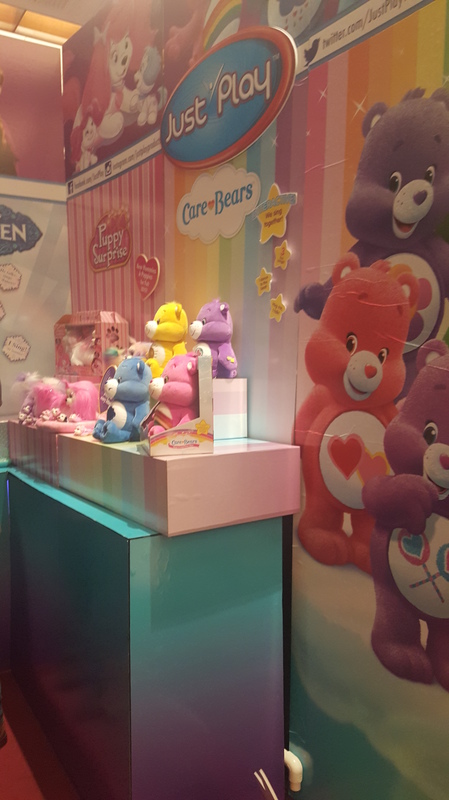 Walking into a bright room filled with smiling bloggers like myself, MOMS playing with TOYS, like me! It was such a turning point to give my name, an get my ‘Attendee’ badge. To know I was a part of something so big, that others have traveled so far to get to. 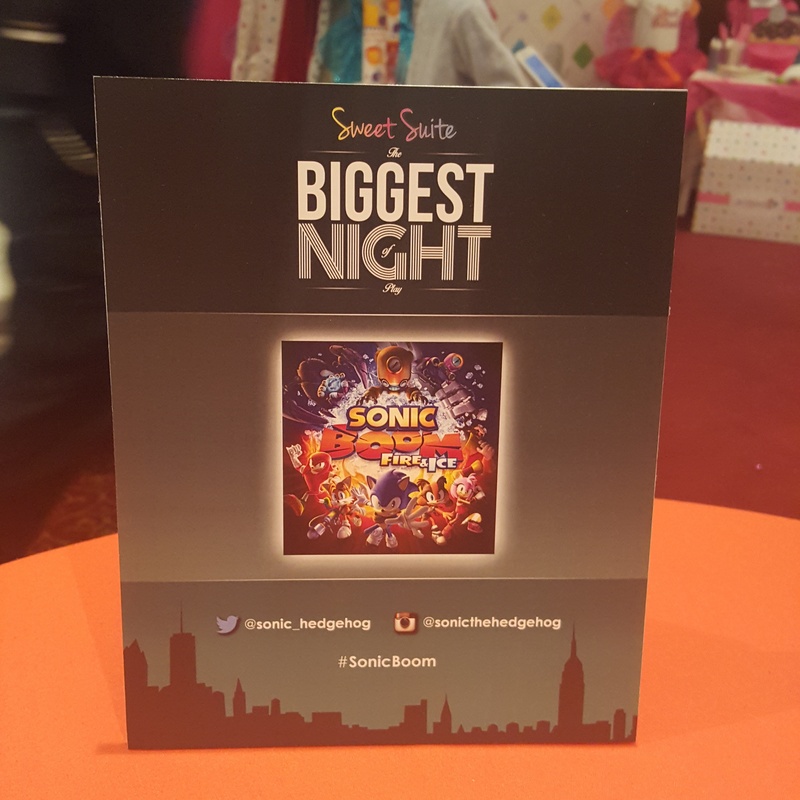 There was so much going on and so little time since I had gotten there on Day 1 at 8:30 pm into Sweet Suite. 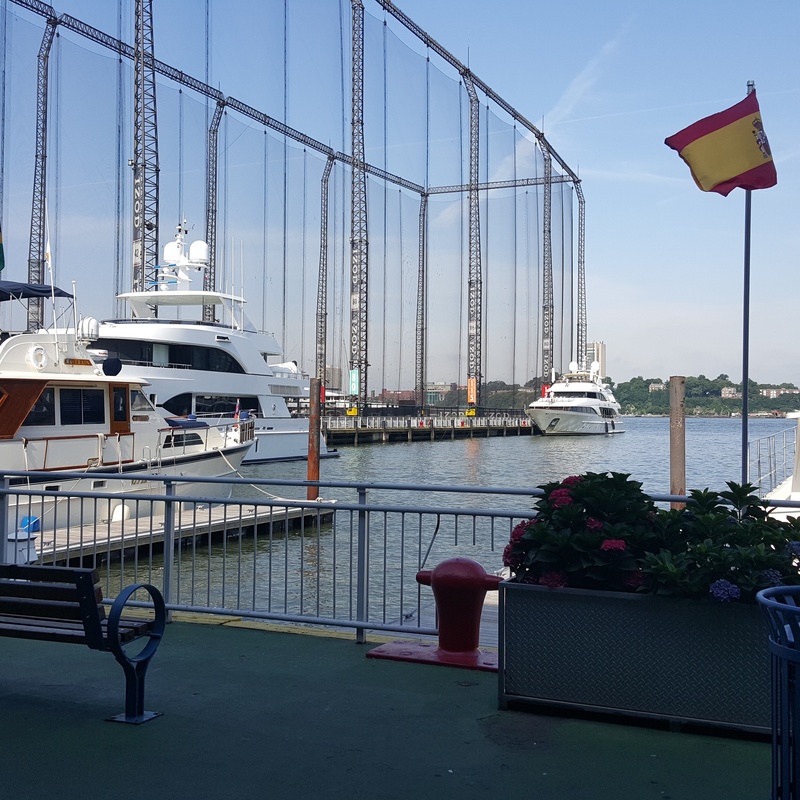 I immediately went for a quick glass of wine, and some food to munch on since I had just rushed from work in NJ, through rush hour(s) – into NYC via very transportation method available. Are you kidding me with the attention to detail that was put into decoration this place? 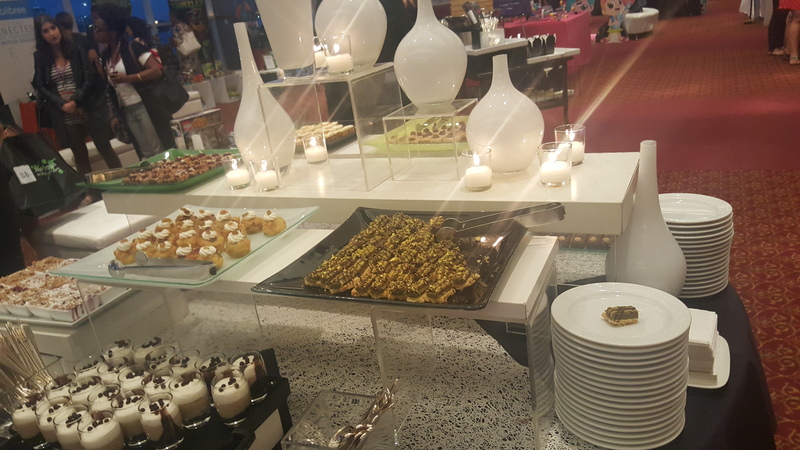 There were tables set up with chef’s preparing your small food selections, and small desert tables with adorable candy center pieces. 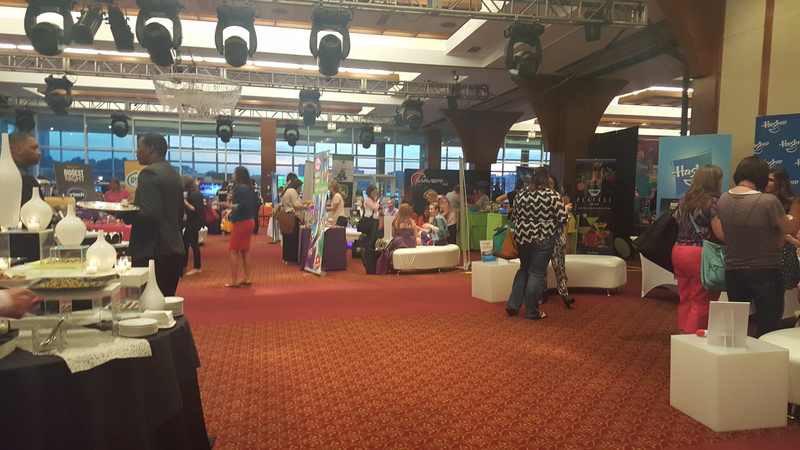 I mingled at the vendor tables, and quickly met some blogger friends I hadn’t met before. 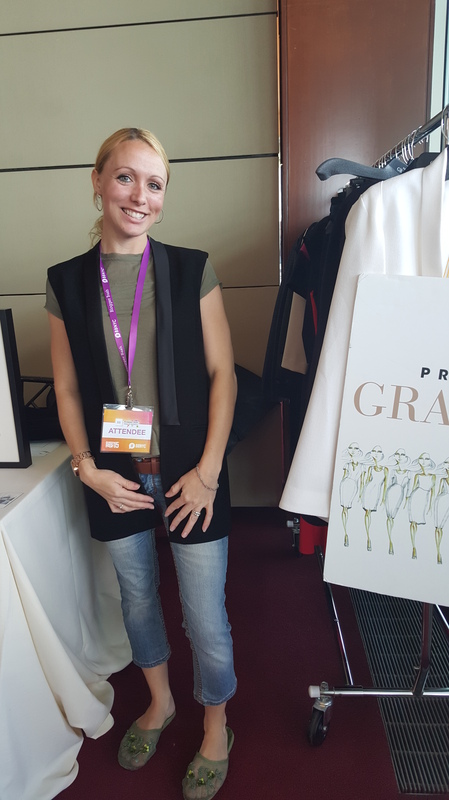 I wanted to interact with as many brands as I could an make sure to hand out my card. There were many brands I was well aware of, and some that I was not. The best part is how enthusiastic each an every PR rep was about their product and how proud they were to show it to me. I loved every moment of it, sharing their joy and hoping to be a part of something bigger in the near future. That 45 minutes I had there was amazing. But it was only a taste of what was to come in the upcoming day! Unboxing of my Sweet Suite Swag Box! 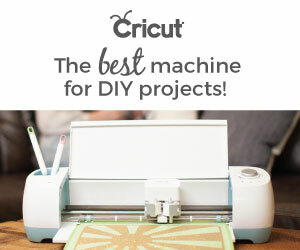 Check out all of these awesome new toys!! 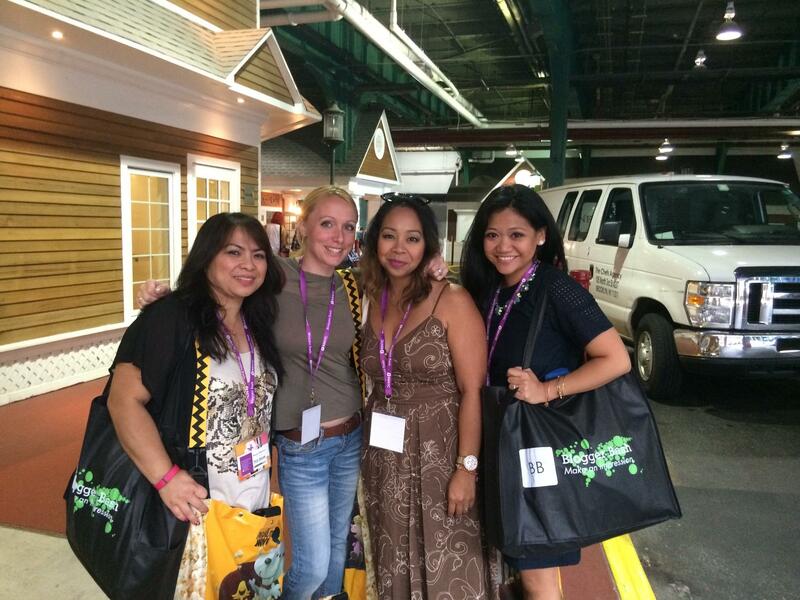 I was lucky enough to have fellow bloggers to travel with to BB on day 2. I was still exhausted from the night before since I traveled back home after Sweet Suite and it took nearly 3 hours to get home and I was so excited I could barely fall asleep. I had to be up and ready to leave at 7am to travel back into NYC to make the first task on the agenda, the Disney Infinity Breakfast. 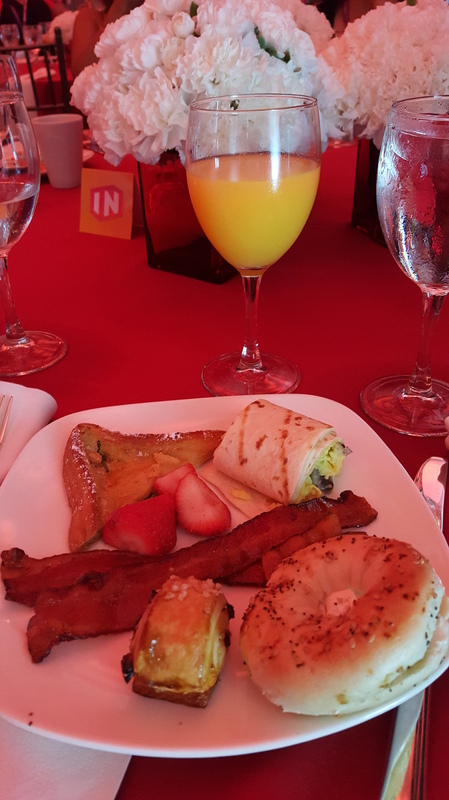 Disney Infinity Breakfast: Can you say WOW!? The food. 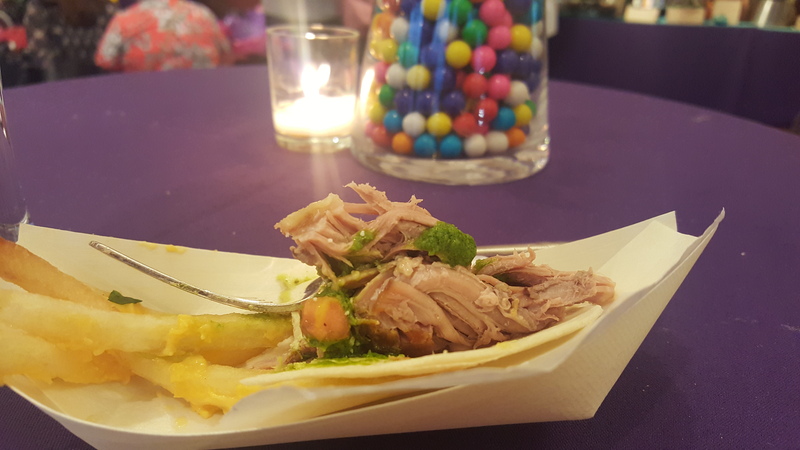 The food at an event is something everyone will remember, even if they don’t remember much more. 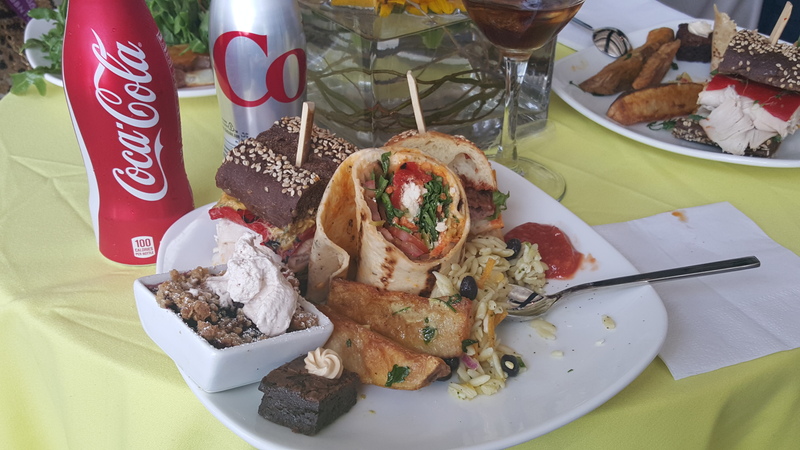 They definitely treated us like royalty with the assortment of breakfast items they had at the buffet tables. The bacon was perfect, and the french toast was just amazing. 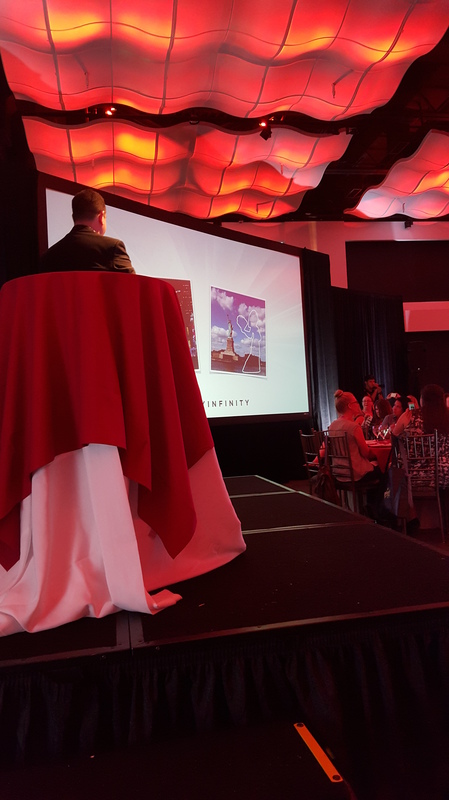 The decor was breath taking and felt so fancy for 8:30 in the morning. On the large screen was the preview of the new Disney Infinity 3.0 and there were also gaming console stations set up. What’s even better? 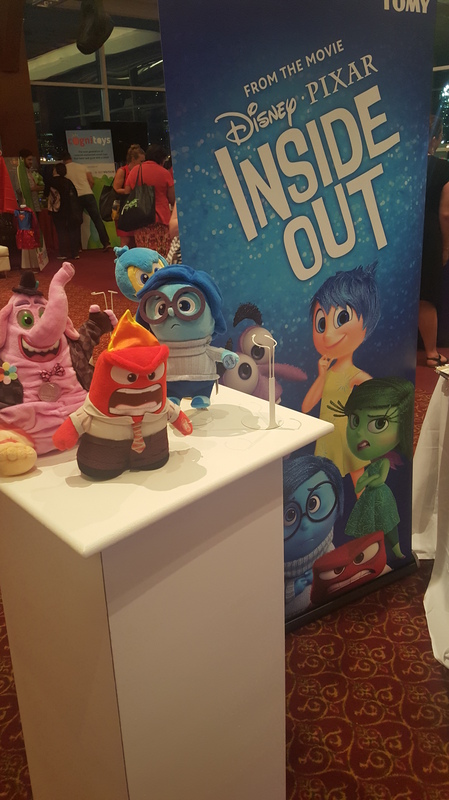 I felt honored that we were given a Disney Infinity swag bag containing Mulan and Hans Solo characters that aren’t being released until August. I am one of the lucky moms who has actually played Disney Infinity before, so I know my son will be excited to add these characters to his collection! 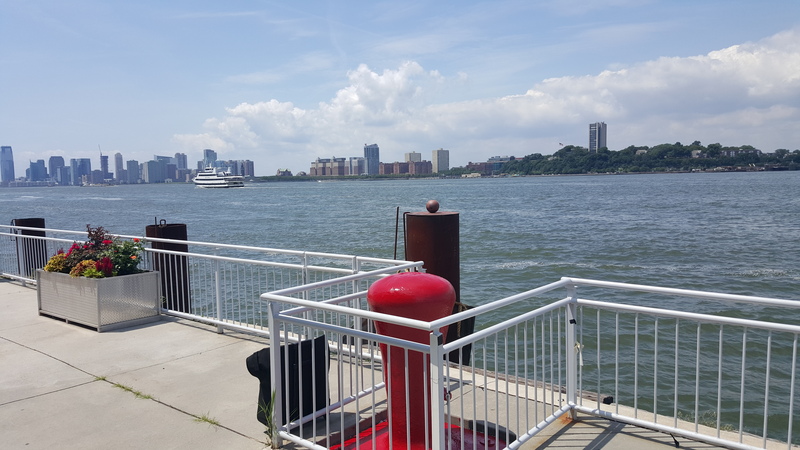 Next up, we walked back over to Pier 60 to the Rite Aid Recharge station that would run 10am-6pm. 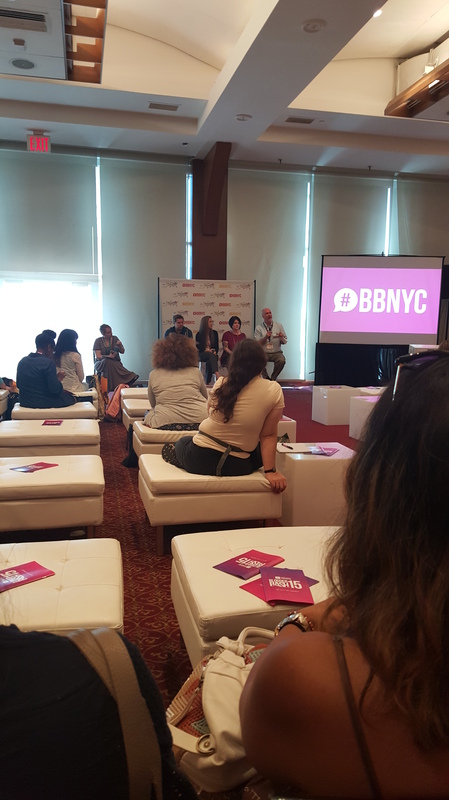 I cannot express what an AMAZING job they did converting the room into a relaxing space to meet with more PR reps that probably would’ve been out of my reach if it weren’t for BB. The amenities there were something you’l find at a 5 star hotel in NYC. 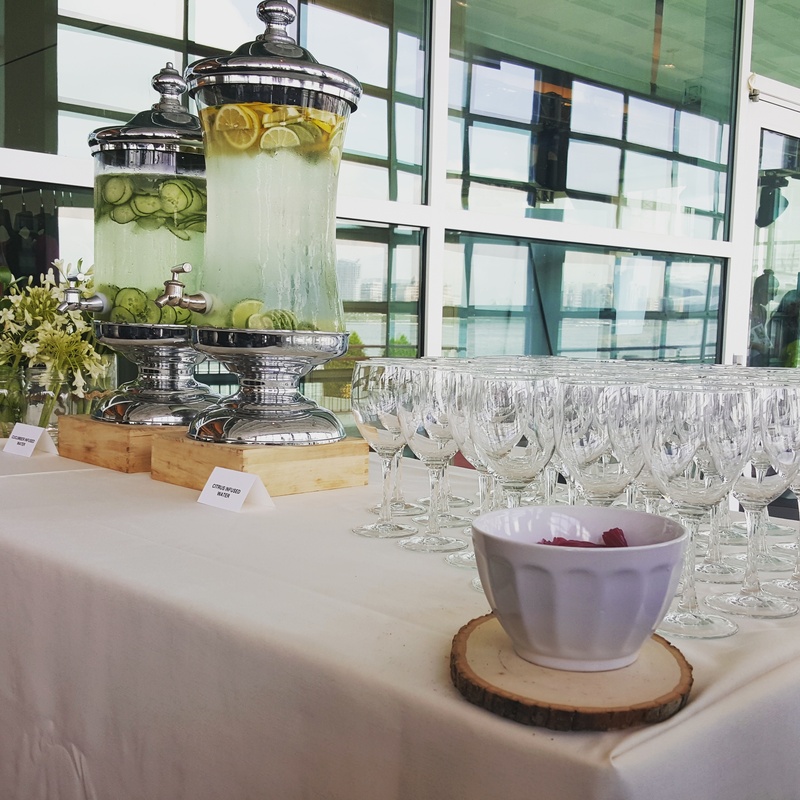 Cucumber water, refreshing lemon lime water, chocolate bar… wait for it…. 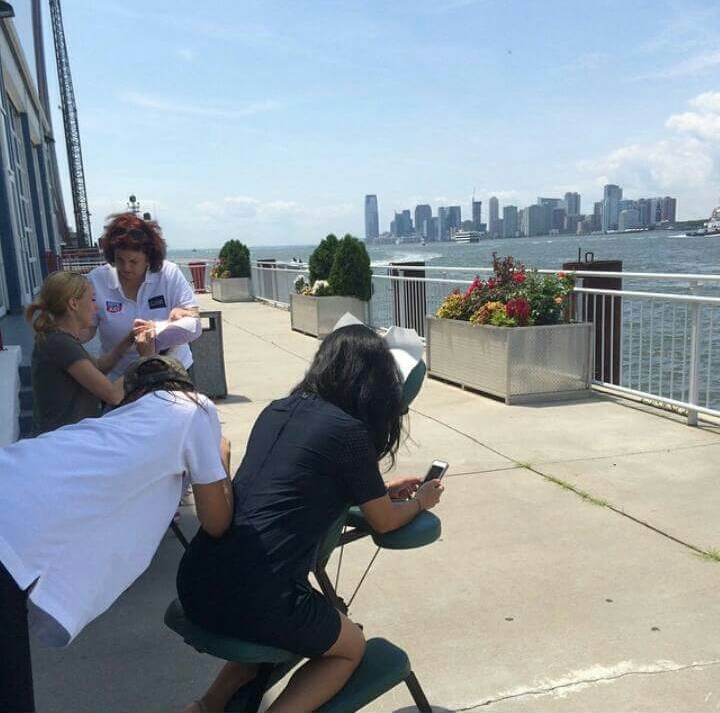 MASSAGES on the pier in front of the water with a view of the city – FREE. Yes, this was possibly the best part of my entire trip. There was a quiz that Rite Aid prepared that would custom tailor a swag bag just for you. 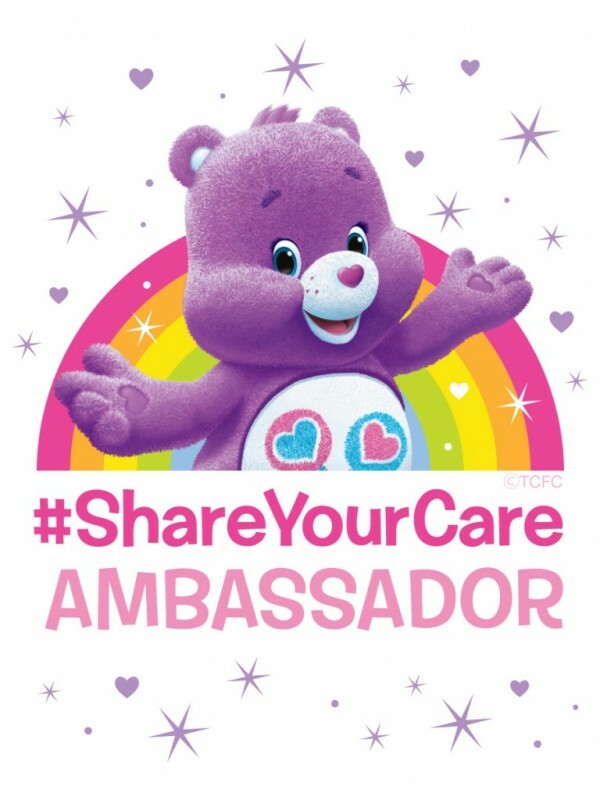 It was a cute little feature to help get their products out there, and let us mommies try products we otherwise wouldn’t have. 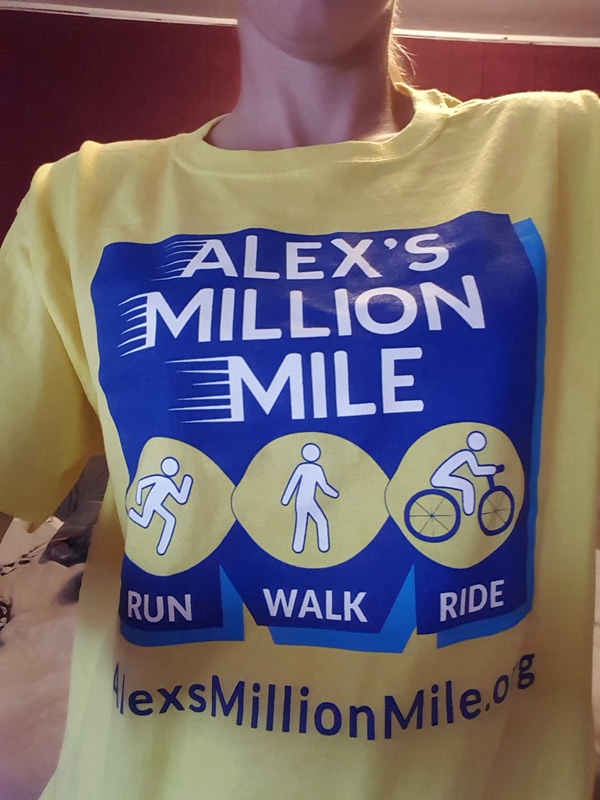 The PR tables ranged from Alex’s Lemonade Stand which is a personal favorite for me for #AlexsMillionMile, to Project Gravitas, to Vermont Vacations. 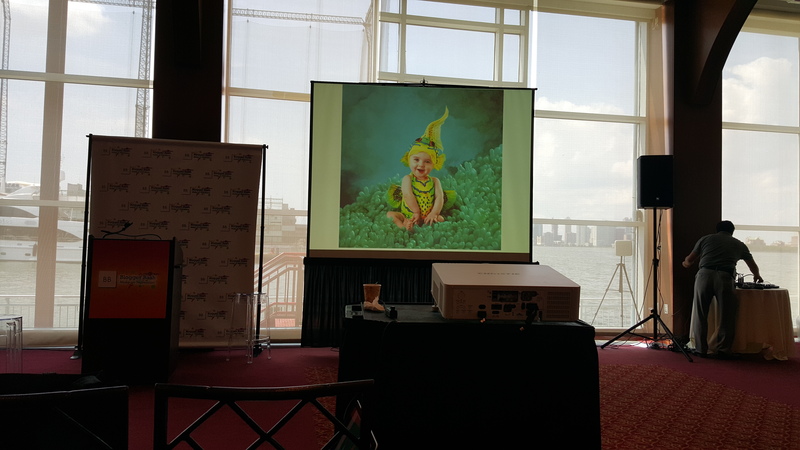 The CEO of Evite did an awesome presentation on the psychology of people when it comes to blogging/choosing items and I had front row seats! 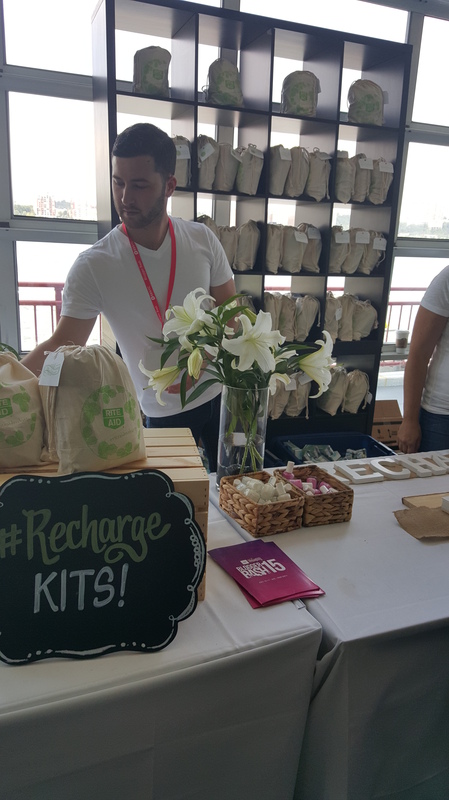 I was in and out of this recharge room all day an was so thankful it was there because it gave me a place to really recharge, sort of like a home base. My youngest is now 3, but I still wanted to get in on the action in the Baby Pallooza room and I am beyond glad that I did. 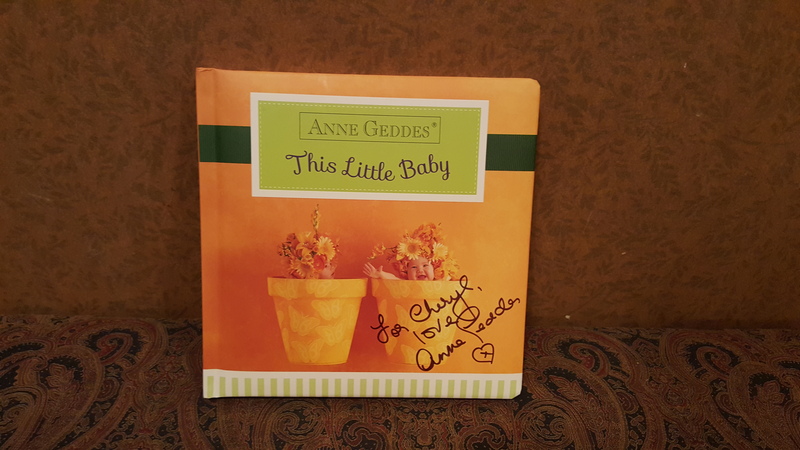 Anne Geddes did a Q & A, and you guessed it, I had front row seats! She spoke so honestly about her meningitis campaign and how it touched her heart personally. She also did a book signing and I got my personalized copy! This book is just so cute you have to check it out! I wanted to get in on this speech by the amazing speaking panel on YouTube taking the leap. 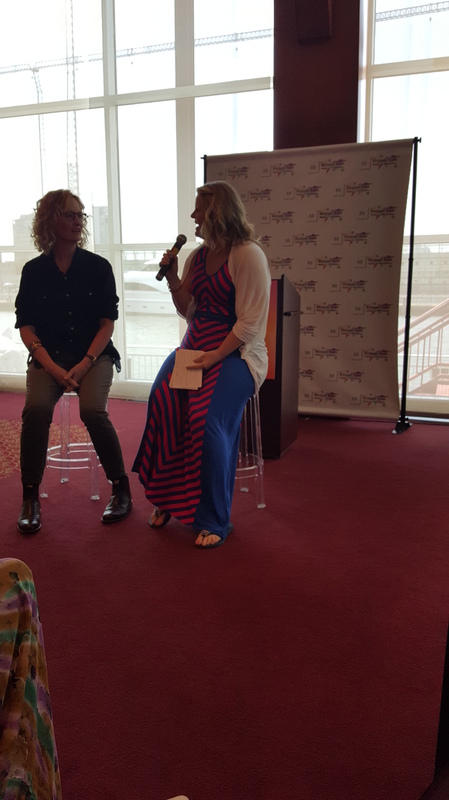 This was moderated by Mommy and Gracie’s “Mommy” and I loved every minute of it. Although I do not have a huge youtube presence, it gave me great insight into what to look forward to, and how to manage it effectively including how my children interact with content. Again, hurray for FOOD! They fed us more, and even better, we got to see the children who are the cast of the new Peanuts 3D movie. I cannot wait for this movie to come out because it reminds me of when I was a young child and I want to share it with my children. They completely changed the venue appearance again, and this time, the big screen featured a preview of the new movie, and even Snoopy came to visit! They did a fishbowl giveaway, and gave away a new happy dance snoopy toy. I didn’t win, but I still had a blast. They gave us all a keepsake laundry bag filled with stuff to take home, My favorite is the Linal coffee cup! 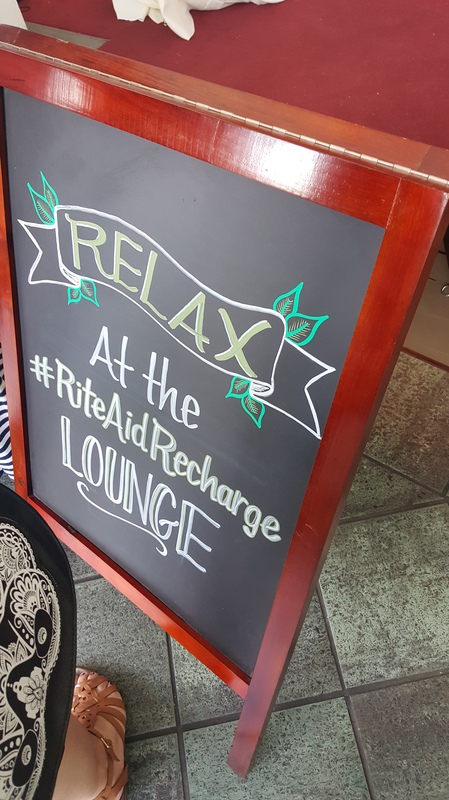 After the lunch there was more Rite Aid recharge lounge fun to be had, and mingling with more PR reps.
We left just before the Lentils Carnival so we could beat the Friday rush hour traffic, but from photos it looked amazing! 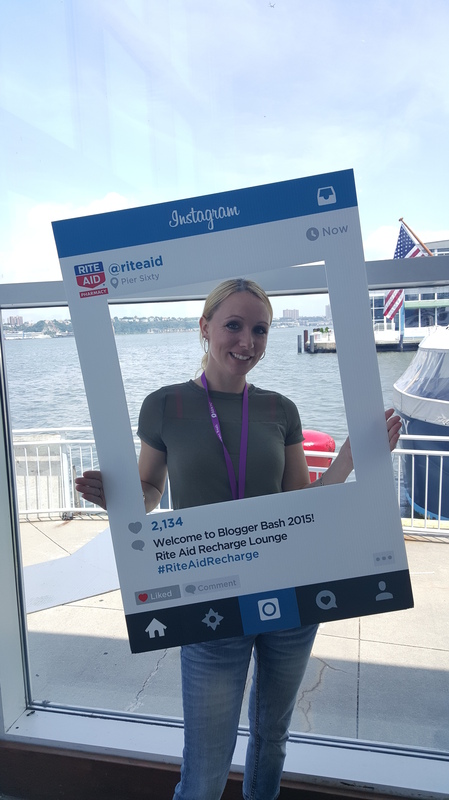 As a newbie to the blogging world, I am so glad I got the chance to interact in the blogging world at this event and I cannot wait to attend next year’s 2016 event because I am sure it’ll keep getting better and better each year which is hard to believe it can get any better. 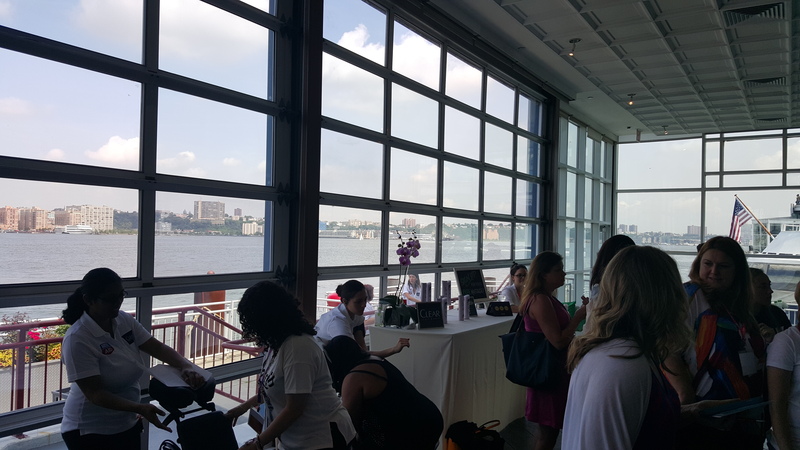 If you are a new blogger, or maybe an established blogger who hasn’t taken the leap and gone to Blogger Bash, this is a PSA: YOU MUST GO! It is A-Maz-Ing! I am still exhausted from the travel, but the experience and meeting new friends made it all worth it. 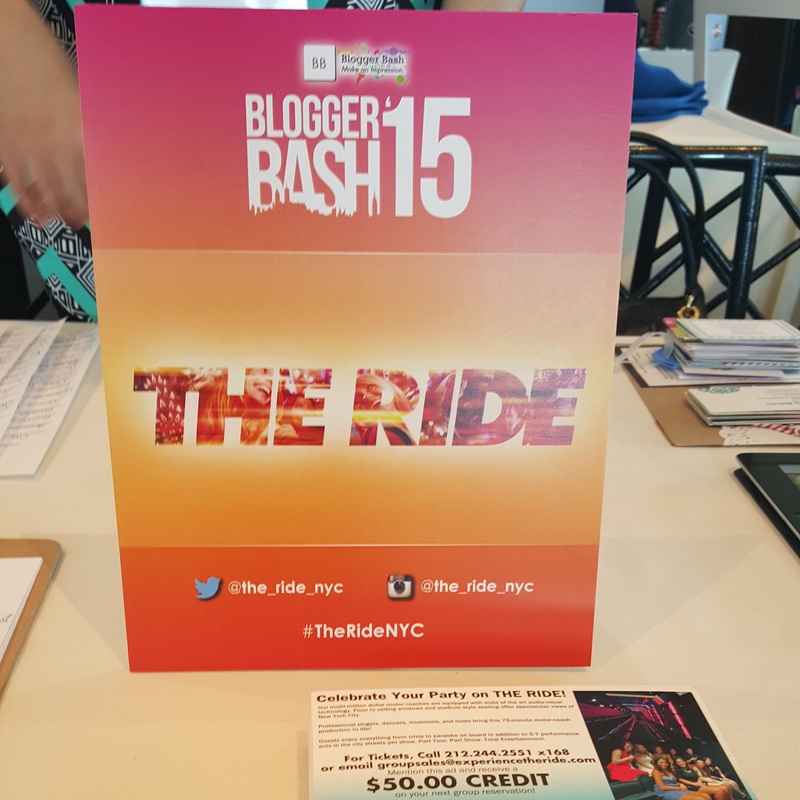 Hope to see YOU next year at Blogger Bash 2016! 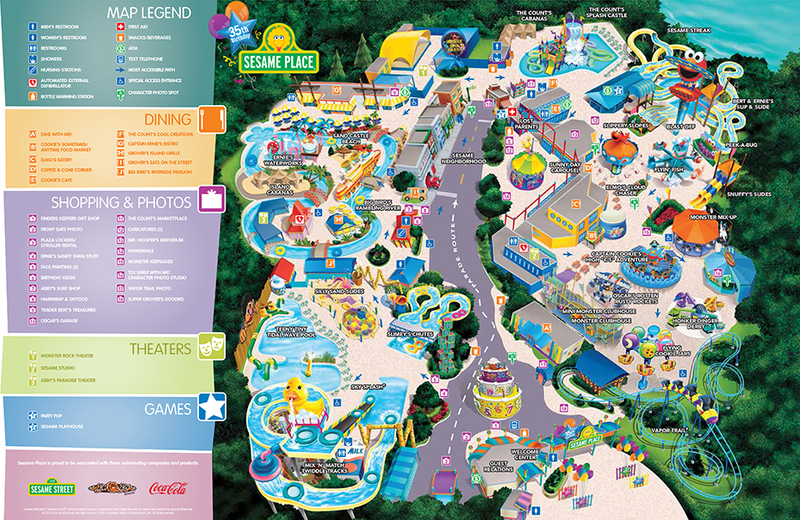 Sesame Place – I can tell you how to get there! I can tell you how to get, how to get to SESAME PLACE! We have been going to Sesame Place since my oldest was just 2 years old. I remember finding out that the one and only Sesame Place in the country is only 45 minutes from my Central New Jersey home in Langhorne,Pennsylvania and wondering why I have never heard of it before. It’s a fairy tale land for children and adults alike. Characters walk all over and frequently stop to take photos with the children, There are 2 to 3 parades per day, and multiple shows within a few different venues going on all day. Not only are there visually stimulating things for children an adults to enjoy, did you know it is a water park? 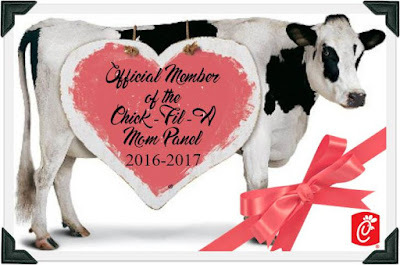 That is one of the most enjoyable features for our family. There is ample parking the the lot directly across from the theme park. It is a bit pricey at $17, but keep in mind it is all day parking, and very convenient. You can pay a bit extra an get an even closer spot, or if you’re a season pass member, parking is included. One thing to know when entering the park, is that you ARE allowed to bring in snacks and drinks in reasonable amounts. You can bring in a small cooler, and toddler snacks. They check your bags at the front gate to make sure you’re not bringing in anything not allowed into the park, like weapons or pepper sprays, so be prepared to have everything ready to be searched so that it goes faster for you. We really enjoy the Teeny Tiny Tidal wave pool and it’s usually one of our first destinations after entering the park and getting a locker. It has an adorable large Ernie face that has kids in awe. The pool itself goes from about 1″ to 2 feet deep, and is large enough for your child to fun around and splash. They do provide life vests for free of charge throughout the park for use. Although they are not required for this area, some parents feel more at ease with their child wearing one, so just know they ARE there hung up next to the lifeguard in the second section of the pool by the sprinkler. This are is perfect for little ones and toddlers. There are chairs that are available to lounge out on as well in this section. One thing I never noticed until my most recent trip this month, is the train cars to the left of the Teeny Tiny Tidal wave pool (directly under the giant duck water slide). The mix an match twiddle tracks. They are adorable hand propelled train type cards on a metal track. They are colorful and follow a small track through a tunnel. Tucked away in the corner, there are tables where parents can watch their children safely enjoy this attraction. My 3 year old is so into trains he has a blast in this small area an didn’t want to leave it! Another first for us during this trip was riding the Sky Splash. There’s no missing this attraction. It is huge and has a large 8ft tall Rubber Ducky on top of it. The kids were too small in the past to all go on it, so we held off but during this visit we all walked up the 6 flights of stairs (yes it IS a hike!) and fit into the 8 person tube with a 1 year old, a 3 year old, two 7 year olds, and my aunt and I. The little ones all had a blast! One thing I must tell you, because they don’t tell you on the ride is HOLD ON! There are sections of the ride where I was literally bumped out of my seat and me and my 3 year old tumbled over. Luckily, we were OK, but someone can get hurt on this if not sitting properly. There was a slight look of terror on my little ones face but he let out the largest scream when we got to the bottom and yelled “Woohoo we did it!”. I wish I ha video of it. We did opt to go on it one more time and my little one was NOT in favor of this. He put up a fight but he enjoyed it after all was said and done. The next area we hit was Cookie’s Monster Land. This is where all of the dry attractions are and we always have a blast. There are so many kid friendly rides, and also a toddler area where parents can take a moment to relax. There is a bouncy bridge castle above that older children can run across and bounce on while the little ones are in an enclosed safe area with foam blocks to build and tunnels to explore. Most of the rides in this area children over 42″ can ride alone, but I still went on whatever I could with them. My 3 year old was obsessed with the flying Elmo Fish since he loves planes. He made me go on it over and over!My 7 year old and 7 year old nephew went on the large swing and loved them. They went on it twice actually. That was the great thing about going on a weekday, there were no lines!!! 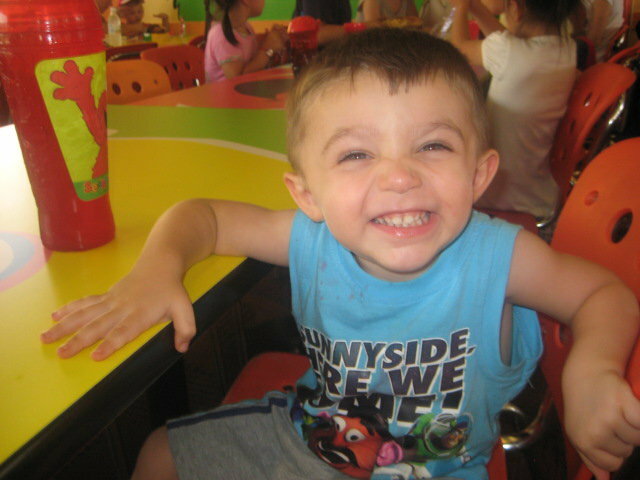 There are multiple places to eat at Sesame Place, and usually we choose Elmo’s Eatery. You get a cute souvenir plate an cut with each kids meal. I always get a kids meal too because it’s a little pricey and the kid’s meal is more then enough for me. There is the Dine with me area, but we haven’t done that yet although you can find deals online for it sometimes. Also, if you’re a season pass holder, I think it’s included or deeply discounted. 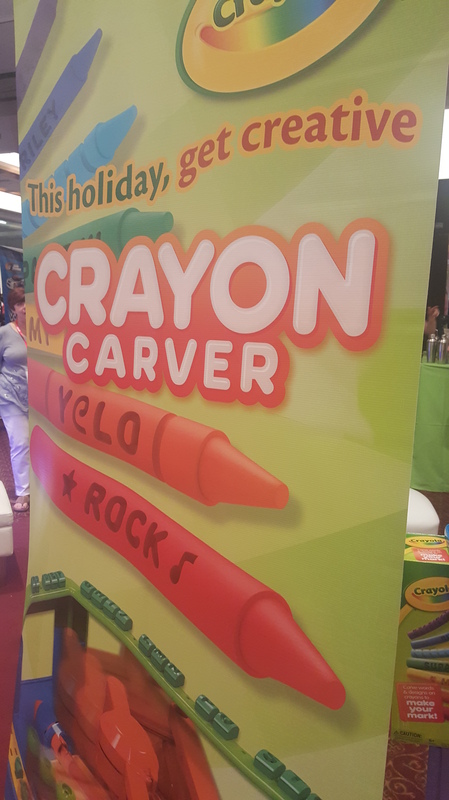 Just like other theme parks, there are face painting stations, balloons, gift shops, caricature stations, and stands to play. 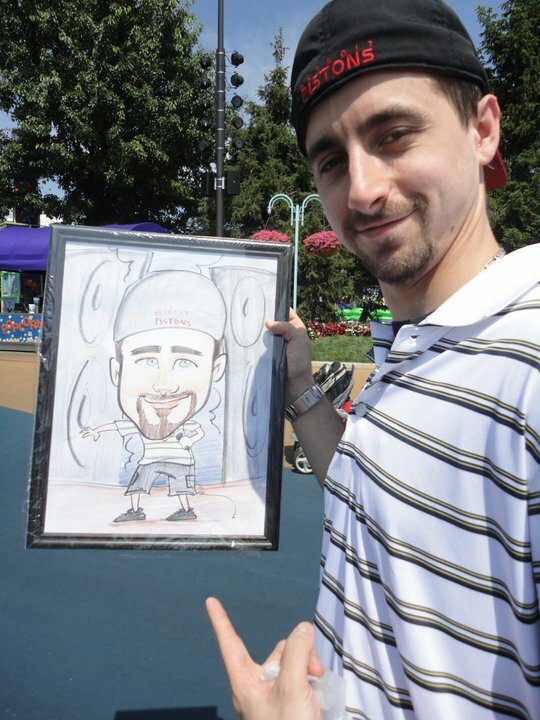 Here is hubby ecstatic about his caricature he got of himself LOL! This was 5 years ago an it still graces his walls. After eating, we went to the Elmo Live show. This is the same show I’ve seen numerous times, but every time it keeps the children captivated! It is so adorable to see the kids have fun at their own little concert. Dancing in front of the stage and singing along to songs they know like ABC’s and 123’s. I have seen other shows here as well over the years including Hip Hop Harry, The Imagination Movers, and Elmo Rocks. They have multiple venues and show times and you can check out any special shows at Sesameplace.com because if they’re special shows other then the normal ones, they’re an extra fee usually online like $10 but you do have to reserve a seat usually. Lastly, the parade! You’ll want to set up a bit before the parade to get a close up seat. Usually people will start laying own their towels or planting their strollers along the main street an hour before, The parade is adorable with all of the characters coming up to greet the children, a screen showing the crowd, and even sometimes pulling children into the parade to complete a dance number or sing along. The theme this year is Birthday Party since it’s Sesame Place’s 35th Birthday Anniversary. They even replaced the character shrubs at the entrance with a huge birthday cake. Bring sunscreen and flip flops/sandals! It is very sunny and the blacktop is all over and very very hot. Check out online discounts before you go. It is ALWAYS cheaper to order online then at the gate. Get a 2 Day pass at minimum. It’s only about $10 more and includes another day of fun making each visit basically 50% off! Trust me, you WILL want to go back. Bring a hat for little ones to keep the sun out of their eyes so they can see the fun stuff without the glare. Wear comfortable clothes/cover ups. Most people just walk around in their bathing suits. Fun Fact; Sesame Place has a Sunny Day Guarantee and if it rains for an hour or more consecutively during your visit, they will give you a pass to return! Don’t be fooled by the name. Parents will have just as much fun as the kids!! 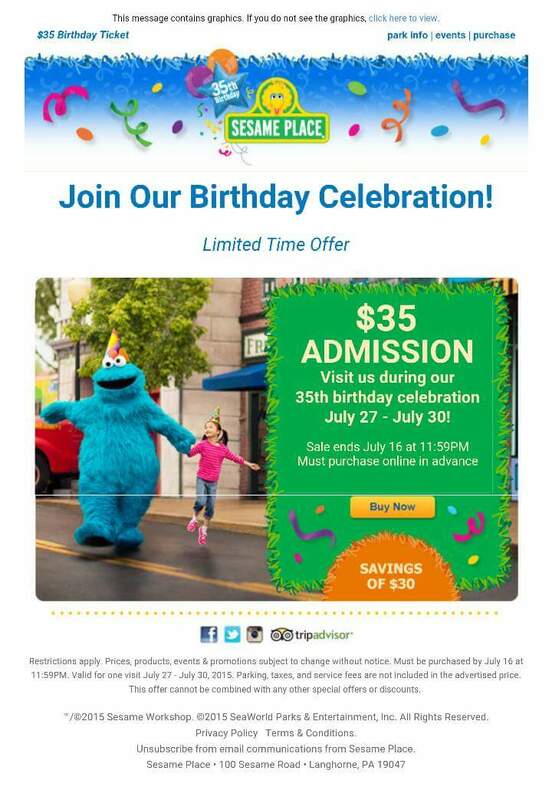 Right now, you can get a ticket for just $35 online for Sesame Place’s 35th Birthday! This is good from July 27-7/30! 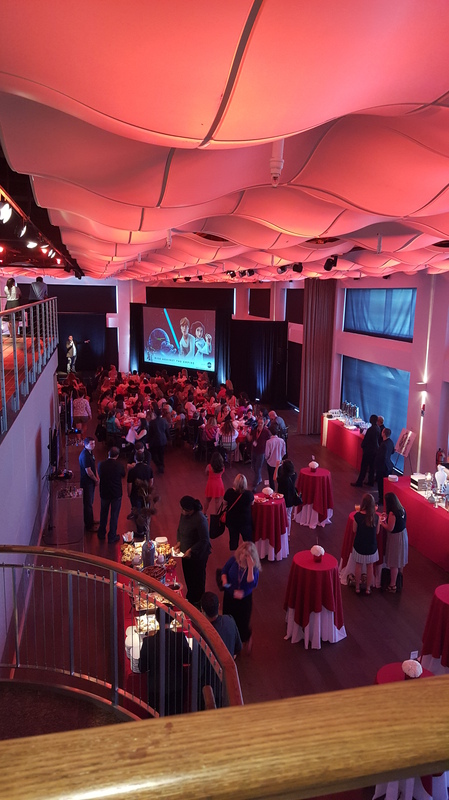 iPlay America hosts: Marvel Avengers: HYDE and Seek! My kids and I love the Marvel Avengers so we are super excited to check out their live show at iPlay America in August! It is a 30 minute show with lessons to be taught to young kids. Everything you’d expect from Marvel with all of the fun you’d expect from iPlay America. The show is included with the purchase of an iRide Pass. 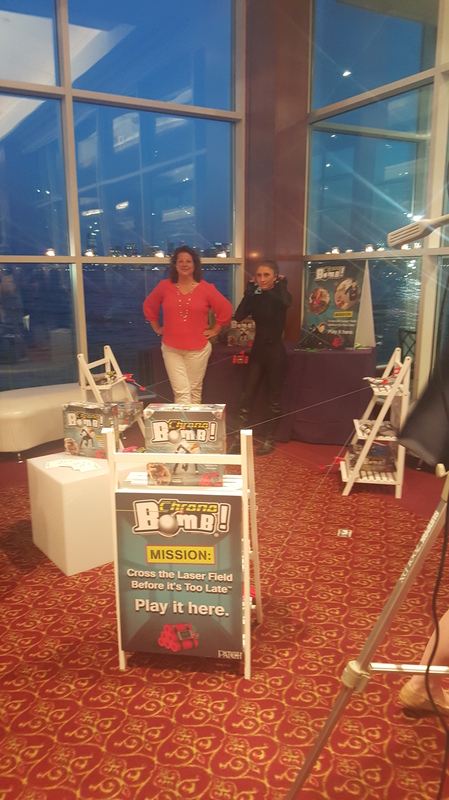 If you’ve never been to iPlay America, there is no admission fee to enter, and they have affordable play packages. Credits never expire, an there is fun for everyone from laser tag, to bumper cars, to even iKidz soft play for the smaller ones. From the moment you step in, you’ll be in awe! Lucky for you, I am giving away not one, but FOUR (4) iRide Passes for Sunday August 2nd which include the Marvel Avengers show at 3pm! Enter from 7/9-7/16, and tweet daily for your best chance to win! Remember, you can enter for yourself OR for a family member or friends! Goodluck! S.H.I.E.L.D agents Black Widow and Commander Stryker find themselves outmatched when the Green Goblin develops a serum that increases his intelligence, size and strength. Calling upon Earth’s Mightiest Heroes, the Avengers, the team thwarts the Green Goblin’s diabolical plans by tricking him into reversing his formula — making him smaller than he ever was and as weak as a kitten. Spider-Man joins the fun as Ant Man and Captain America team up to prove that “good always overcomes evil,” no matter what size. The positive message is that it’s never the size of the opponent, it’s simply the size of your he art. Stryker inducts Spider-Man as an honorary member of S.H.I.E.L.D and The Mighty Avengers! iPlay America is located on Route 9 at 110 Schanck Road in Freehold, New Jersey. 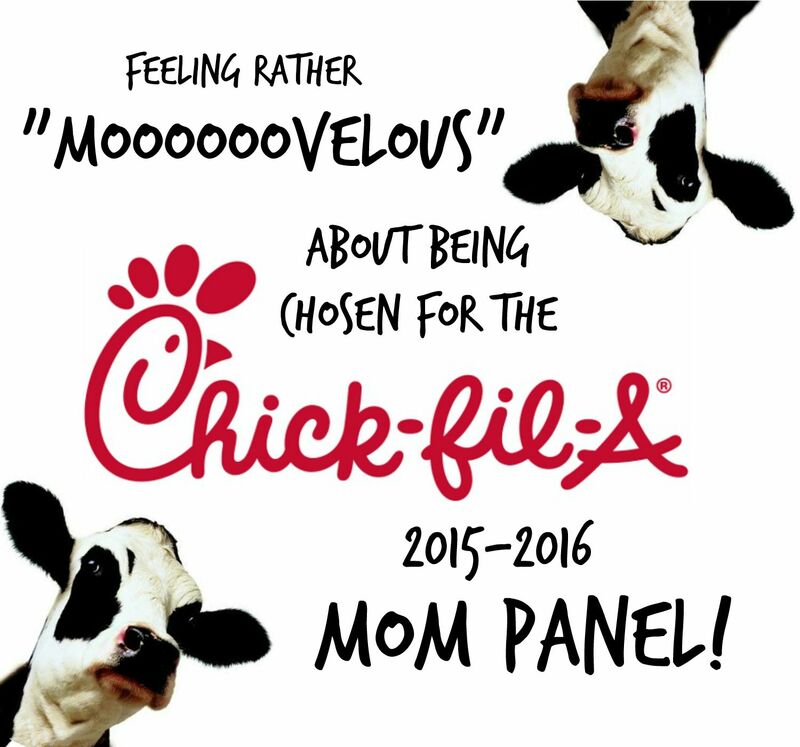 Are you a parent of a student entering college this year? Or maybe a student yourself? Have you seen the prices of the book store textbooks and the laundry list of books needed for the classes? Are you looking for an alternative to buying expensive college textbooks that you’ll never use again or maybe get a fraction of the money you paid for it back if you sell it back? I know there are numerous sites to choose from now-a-days, but stick to the experts and look no further. Campus Book Rentals, the name says it all. It’s what they do, and they do it well. CampusBookRentals.com is the one stop shop for College students who want the ease of reliable textbook renting. Qualify for FREE shipping both ways (with the option to get the book next day for an extra fee). Unlike others that may send a PDF file, you get an actual textbook you can HIGHLIGHT in and make any needed notes. Flexible renting periods with a 15 day grace period, which surely you’ll never need because no one procrastinates in college…right? What makes the whole deal even sweeter? When you kick in a donation. That’s right. They donate to Operation Smile with every rental purchase. Operation Smile is a non-profit organization that provides rehabilitating, and sometimes life-saving surgeries to children born with cleft palates. If you have had experience using CampusBookRental.com, or plan to try it out, please leave your feedback in a comment below! I’d love to hear it.